Further information about “glass of wine” (Wine Glass) and different types of wine that affected the taste. The knowledge of “Grape” (Grape Varieties) as well as grape varieties. 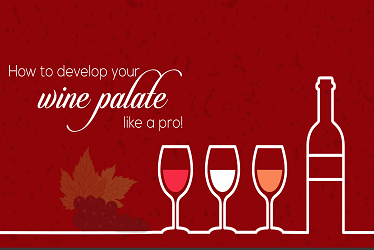 Often the variables that define the distinctive characteristics of the wine, whether red wine, white wine or sparkling wine. 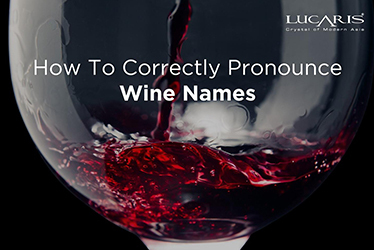 But not all grape varieties that you can find in general fruit groceries. There are more than 1,000 species of grape varieties worldwide. So, we gather information of top 10 species together, especially for “Beginner”, that will be useful for your next wine tasting session. The comparisons and ready to sample wine from other varieties, and then the next. We have to start with the red wine grape varieties (Red Wine Grape Varieties) to do it. Red wine grape Popular (Popular Red Wine Grape Varieties). This is a local grape variety from the region of Bordeaux, France. It has become a grape that become popular around the world and is often used in the production of full-bodied red wine, rather astringent (Tannin), finishing with spicy little pepper and often resembles the taste of dark berries. Food pairing : The red wines from this grape often with complex flavors and savory. It is perfect to pair with a meal like beef burgers, pizza, mushrooms, Rib-eye steak (Ribeye Steak) or braised pork ribs and so on. In addition, the grape varieties Has been found There are very high in antioxidants too. Food pairing : You can pair it with anything made of Blue Cheese; such as burgers, with barbecue sauce and pepper. And foods with spices or herbs because these foods will help pull the flavor out. Food pairing : the food was not suitable to be paired with red wine Merlo (Merlot) include fish, fresh vegetables, including food. The spicy flavor of wine to drown away. We recommend a red wine Merlo. With dishes prepared from white meat like chicken or red meat cooked slightly spicy. etc. Pinot Noir are often priced higher than red wine grape varieties. Since it is relatively weak infections and easy-to-mutate which needs attention. It come provide a red light colored wine, a body is quite light bodied, touch rather dry and refreshing fruit flavor. Thus giving the final touches to a long and gentle finish. Food pairing : Often Light Bodied but highly complex. This grape variety He was good with red meat, meat, meat and fish as well as meat, too. 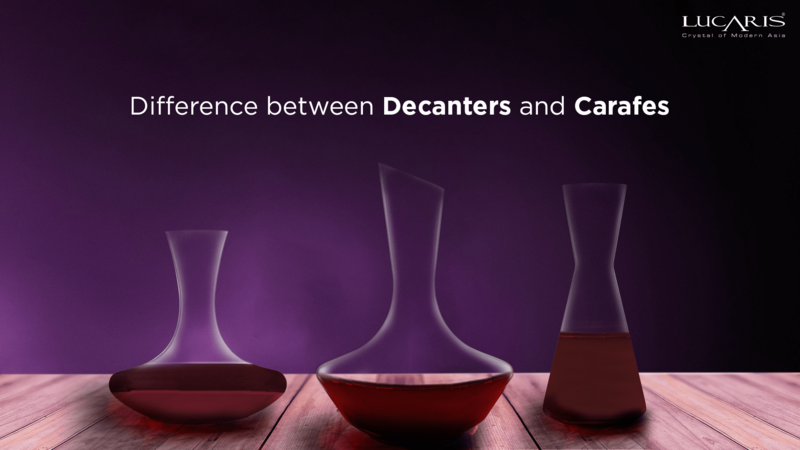 If you are looking for a glass to serve red wine, we recommend Lucaris Desire Universal that can be served with any type of wine; red wine, white wine and rose wines, and every grape varieties. Aged more than five years, with a meticulous production process, we recommend “Desire Elegant Red” that allows the wine to release aromas and kept them in a glass enjoy the quality. 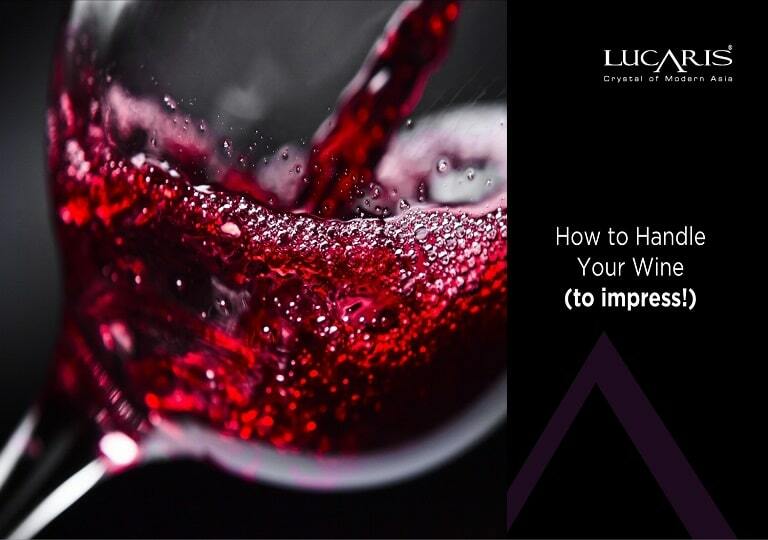 Use “Lucaris Desire Robust Red” for young (aged less than 5 years) red wine like Cabernet Sauvignon, Shiraz, or Merlot because the glass is an innovative “Aerlumer”, which encourages young wine to breathe the air and develop a taste for something better with it than if you are interested in “how to choose a wine glass” Click here for more information. Translated as “white wood” or “White Wild” has its origins in Bordeaux. Usually colored green Intense flavor, similar to apple green, lemon, kiwi, and peach, which varies according to the ripeness of the grapes in the making of wine. The thing that makes this grape variety for striking is the smell (Aroma) herbs, paprika, basil, parsley and lemon grass and so on. Food pairing : Recommended foods should be paired with wine varieties include Goat Cheese, Cream Cheese and focused on food spices like Mexican food. And Vietnamese food Which is compatible with the smell of herbs in wine. Chardonnay have been referred “Queen of the grapes,” commonly used to make white wine often indispensable in making Champagne or sparkling wine. Chardonnay come with the aroma of vanilla, coconut, butter and white wine from. It’s creamy and smooth, which varies according to the fermentation process. Food pairing : Chardonnay is great with creamy cheese, white meat, chicken, pork, seafood, herbs, mushrooms and cream sauce. Riesling is often characterized by the aroma that resembles the fruit with sour (Acid) and Dry similar to lemonade. However, you can also find Riesling, Semi-Dry or Dessert Wine as well as wines from this grape. Often smells of green apple, peach, lemon, freshly cut grass, and oil, but if it’s sweet sling. It has aromas of honey, flowers and ripe fruit with. Food pairing :Riesling often are less sweet, notable sour but there is a balance (Balance) so. It is suitable to be paired with Asian cuisine. With flavors like spicy Indian food, food Thailand by a classic that fits Marie include duck leg sling it. If you are looking for a glass to pair with fragrance white wine like Chardonnay, we presented you with “Lucaris Desire Rich White” which would be the ideal choice. 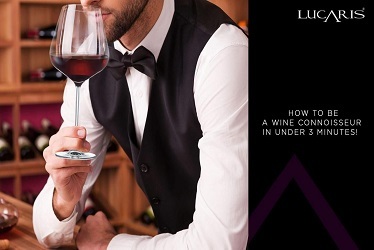 The innovative Aerlumer will also helped spread the aroma of wine as well. But for the white wines featured in this sour, refreshing like “Sauvignon Blanc and Riesling”, recommend using “Lucaris Desire Crisp White” glass which helps keep the freshness of the wine in the glass and more enjoyable to taste. Or if you are looking for a simple and comfortable, you can take “Lucaris Desire Universal” for white wine grape varieties. A white grape variety originally from Italy, often used to make sparkling wine (Italian Sparkling Wine) as a process Vigo (Prosecco), mostly grown in the Veneto, Italy. Food pairing :Paired with foods such as mushrooms or taste it like cream sauce, beans, almonds, potato chips or pop popcorn butter flavor. It also includes various seafood and Spicy Asian cuisine too. The oldest grape varieties can be grown all over the world. Focus by smell, sweet unique. There is a chemical compound called “Linalool” found in mint, orange and cinnamon becomes a description of the special aroma of grape varieties. if you want fresh, sweet and relatively low alcohol content (5-7%) Sparkling, Moscato is a great choice. Food pairing :The Sparkling wine from Moscato tend to have low alcohol content and high sweetness Ideal with spicy asian dishes like Chinese, Thailand and Vietnam are often smells of ginger, cinnamon, pepper or be paired with white meat such as chicken or fish as well. Pinot Blanc is a white grape variety which developed from Pinot Noir. In the past in Burgundy, this grape variety is use for making white wine and as an ingredient to make Champagne. In present, Pinot Blanc has become a key ingredient in the making of Sparkling in a variety of areas. The prominent Pinot Blanc is the aroma of fruits; apples, limes, including flowers. Food pairing :Such as fish, white meat, poultry, eggs and soft cheese, Ricotta or Goat Cheese and so on. Sparkling wine have different types and names depending on the area of production. The name of each grape variety. 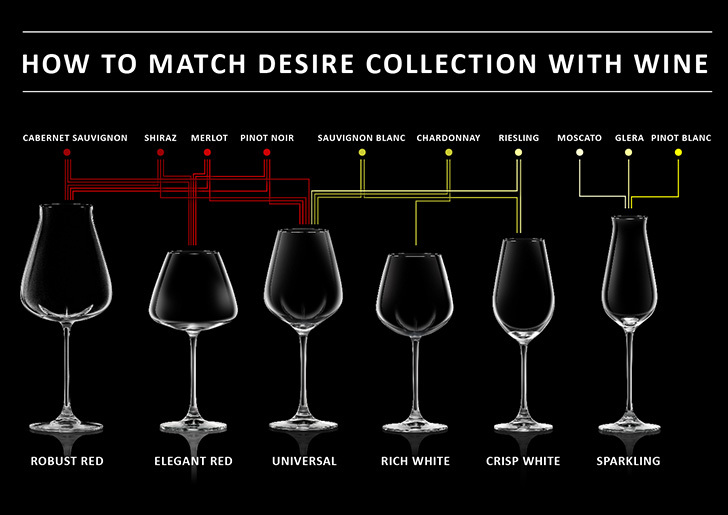 This information will help you to select sparkling wine that you are looking for easily. And the type of sparkling wine, including the famous Champagne from France or Cava from Spain, Asti from Italy and Prosecco from Italy. 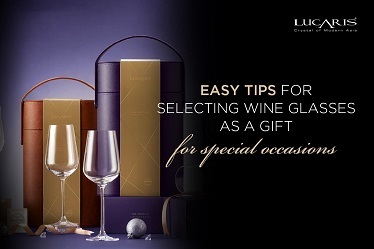 Although the type of sparkling wine will vary, but if you have a great glass like “Lucaris Desire Sparkling”, which suit with all type of sparkling wine. The shape of the glass allows you to enjoy bubbles that came up a long time and also contain the aroma and fizz of the sparkling. In conclusion, these are “9 popular wine” which you can apply to your next wine and dine occasion but for those who still feel that these details are too sophisticated, just have the open mind and try them. The Food Pairing is an art, it is not easy but not that complicated. At the end of the day, each of our palate are different, so drink what you like pair with your favorite food and don’t forget the right glass to drink from, and enjoy your moment.